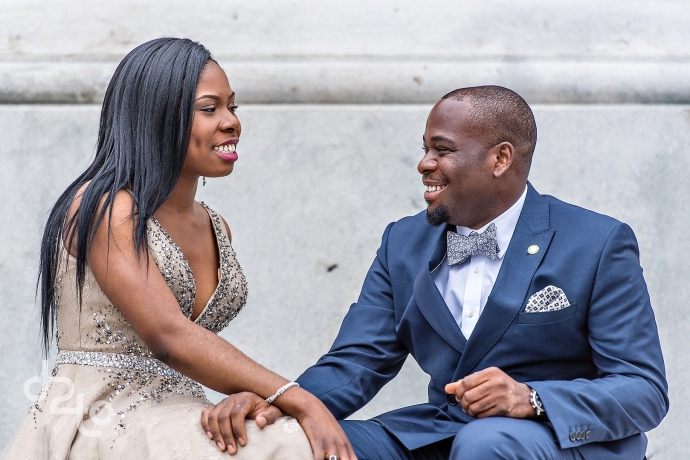 I was very impressed when Emeka called me to schedule their engagement photo shoot. It was very refreshing to see a groom step up and be very involved in the planning process. He sounded very excited and there was no way I could have said No to the opportunity to cover their love story. Chioma and I have known each other since we were kids. We were childhood friends and our families are also friends. We met for the first time when she visited with her parents and I could not but admire how well behaved her and her siblings were. Chioma is the kind of woman I have always prayed for. She is beautiful, hardworking, smart, industrious and stubborn. I thank God for her personality and the tenacity she has developed throughout her life. Our relationship became official in summer of 2014 when I visited her and it was then we found how much we had in common and decided to work at building a relationship which turned out to be one of the best decisions we both have made. In 2015, I travelled to DC for my cousin’s wedding and flew to Boston to see Chioma afterwards. I did order a ring without a clue of what her ring size was. I wanted it to be a surprise and did not want her to have the slightest idea. Summer of 2015, I informed her parents about my plans and asked if she could come visit me in Nigeria and they agreed. I asked her to marry me at Ogbudu cattle ranch in cross river state which was one of the resorts we visited during her stay. I was extremely nervous about the ring size and what her response to my proposal would be. I knew God was on my side when she said yes and the ring was her perfect size! I look forward to spending the rest of our lives together.